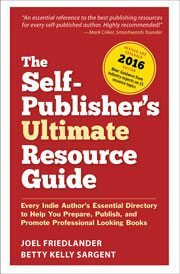 Understanding Book Printing Estimates for Self-Publishers, Part 2 How to create a Request for Estimate for a short-run book printer. When Print on Demand Fails: 6 Scenarios for Offset Printing including books that require quality color reproduction or custom paper or trim sizes. Knowing your market is crucial to picking your reproduction method. Making Print Choices. An early task in self-publishing is deciding on how your book will be printed and distributed. Links to articles are included in this round up of print processes and choices.